You may have noticed I haven’t been blogging very much recently and let me tell you I miss it! I’ve been busy and slightly overwhelmed with everything I’ve had going on the past few months, but hopefully my schedule should be slowing down a little soon and on top of that I’m working to get a little more organized – see, I even bought myself this awesome planner to help! Saturday – rest day & long run prep! 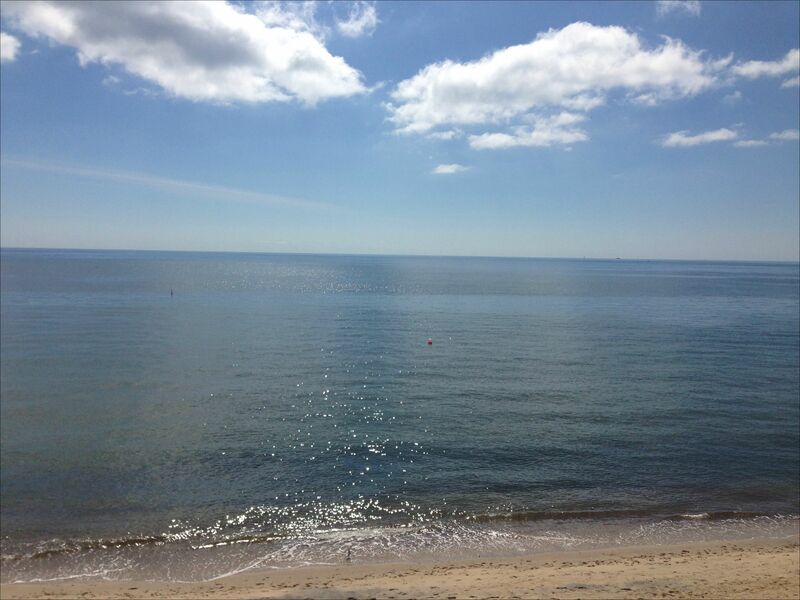 While I love summer, we’re beginning to see signs of fall and I couldn’t be more excited – cooler temps are much welcome for runs and beach time! 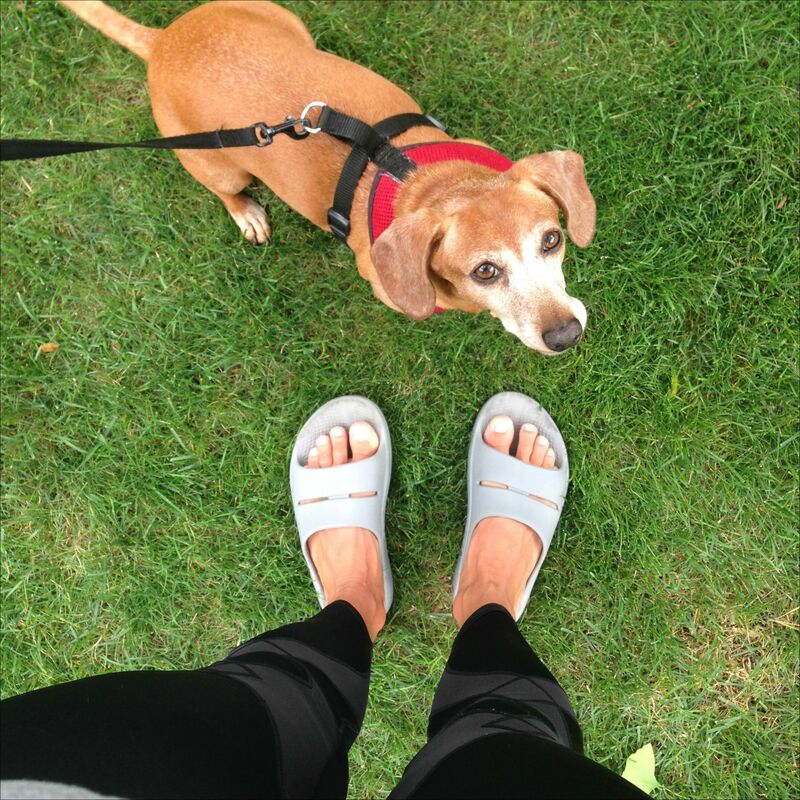 Post long run walk with Maddie decked out in my compression pants and Oofos! SO glad I’m finally getting around to trying out Oofos, they are so ridiculously comfortable on my achy feet after a long run! My 18 mile run certainly wasn’t what I hoped it would be, I struggled with a lot of foot and knee pain, but I got it done and I guess when it comes down to it that’s what matters! I am trying to figure out why my legs feel so tired all the time recently, right now I’m chalking it up to being on my feet all day at work. I’ve been doing my best to counteract that with legs up the wall, foam rolling and icing, so hopefully I’ll start seeing some results soon and my legs will stop feeling like lead on my runs! What’s your favorite post long run recovery? 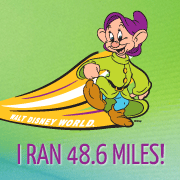 Nice work on pushing through your 18 miler–that’s a lot of miles! I’m getting ready to order a new planner soon, I’ll have to check out the Passion Planner! I’m totally lost without having it all down on paper. I have a referral link, if you think you’re going to order one let me know! Aw crap, I literally just ordered one! Oh well. Thanks for telling me about them, anyway! That looks like a great planner! I’m so not that organized. I use Google calendar and a random assortment of post-it notes. Hmmm, maybe I need a better system! Good luck getting through this busy patch. I feel you! I have a referral link for passion planners, if you’re interested in getting one let me know! Ha! I for one am glad you haven’t been blogging as much because I’m so far behind in reading! 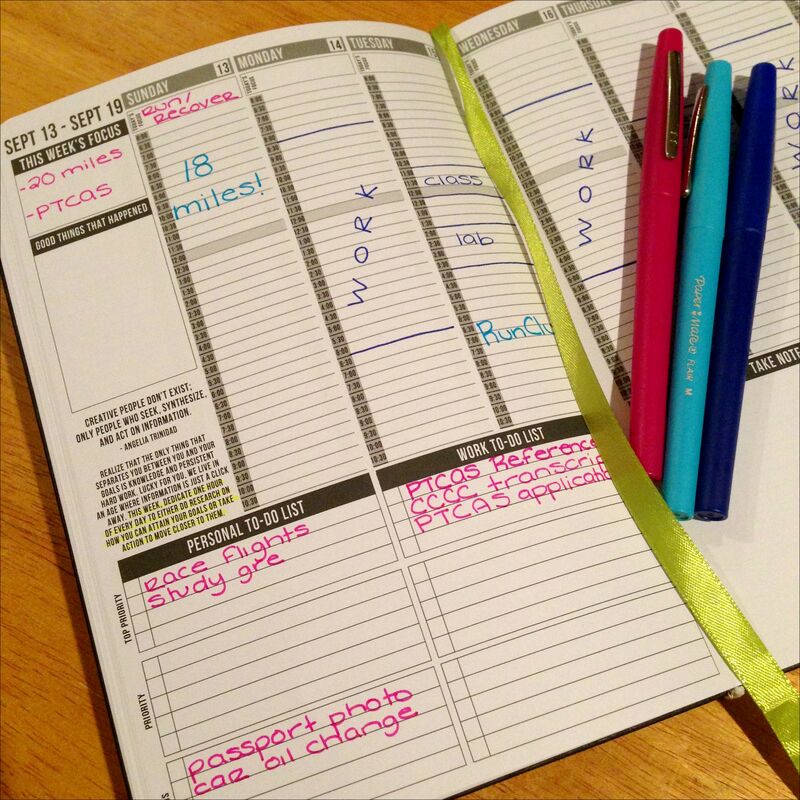 I really need a planner in my life and I really like the look of yours! I need to check it out! I love the Erin Condren planners and even buy colored markers to write in all the appointments etc. A little obsessed maybe! Aren’t OOFOS the best shoes ever after running? I told several nurses at Tufts Medical Center about them last week and they all planned to purchase a pair. They are perfect for anyone on their feet alot. Excited to see you in a few weeks in DC! MCM is getting close. Oh yes, I looked at the Erin Condren planners, I really liked them but they were a bit out of my price range! And yes…LOVE the oofos! Can’t wait to see you soon!